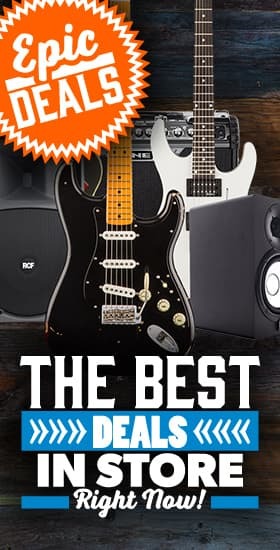 Hotone Audio - Andertons Music Co.
Hotone are a Chinese manufacturer of guitar gear; they aim to employ cutting-edge technology to deliver products that stand out from the crowd while remaining affordable and practical, including their trademark nano amps and pedals! Behind the Hotone moniker is a team of people who are simply passionate about music. Their highly-experienced international team combines this genuine passion with technological innovation, resulting in unique, instantly-recognisable equipment that’s made waves in the industry! With their guitar pedals and mini amps now used by countless artists worldwide, Hotone continue to push the boundaries of pedal, amp and software technology to inspire creativity – the only way is forward! 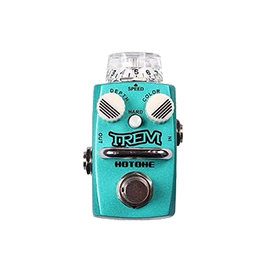 At the heart of the Hotone’s pedal selection is their Skyline range. These instantly recognisable stompboxes could easily fit inside the palm of your hand, and feature bold designs, simple controls and surprisingly massive tones! 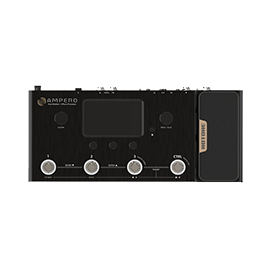 You’ll find pretty much anything you’re after in the Skyline range, including noise gates, buffers, overdrive, fuzz, filters, modulation, ambience – it’s all there! 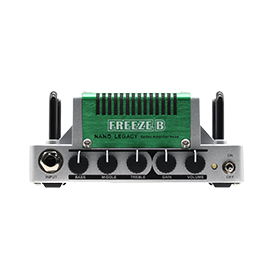 Continuing the tiny design theme, the Press pedals are a selection of compact expression pedals that cover pitch, volume, wah and expression functionalities, and their compact switchers boast unparalleled connectivity aimed at making your performances easier than ever! 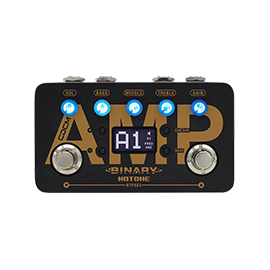 Finally, the unique X-Tomp almost deserves a category of its own; described by Hotone as ‘a portal to infinity’, this innovative unit changes sound, with a choice of over 300 tone & effects models controlled by a mobile app via Bluetooth. This thing will literally provide endless hours of fun! The Hotone Nano Legacy series consists of a selection of micro-amp designs, each one modelled after an iconic or extremely popular amp range. These aren’t just lunchbox amps; coming in at just over 12cm in width, they’re truly tiny, but their excellent features make them just as suited to small gigs as practice scenarios! With everything from high-gain power (the Eagle’s Heart, modelled after the ENGL Savage) to blissful cleans (the Mojo Diamond, modelled after Fender Tweed combos), there’s something for everyone in the Nano Legacy series! We offer 0% finance options on our entire Hotone selection, as well as free UK delivery on orders over £99 – check out the full range below! The Tiniest, Most Useful Amps Around?